It doesn't take much to feel great when your doing it the natural way. Our bodies are as natural as the planet we live on as well any of the other animals than inhabit the Earth. The obesity, disease, and overall aging is a direct effect of the changes humans have made to their diets, beauty routines, and medical care over the recent decades. We are just not meant for all the chemicals, processed foods, and toxins we've been putting in our bodies. Below are a few brands which can help reduce those "bad for you" things and help improve your body moving forward in a more natural way. I've always been the type of person to try and find the more natural remedies for my families daily activities, whether it's been making my own soaps or finding companies that believed in organic and harmful chemical free products. Fairy Tales Hair Care believes in a healthier lifestyle for my children. This is exactly why they haven't used anything else since discovering the brand. 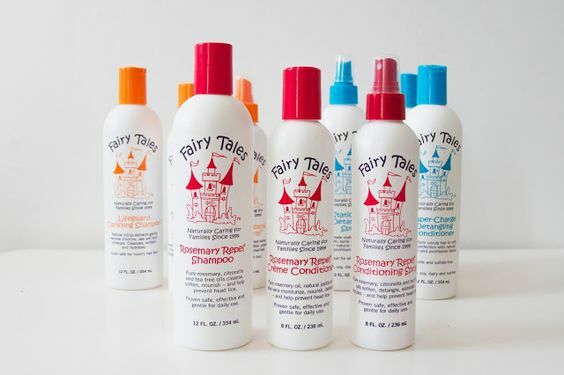 Fairy Tales Hair Care products are all natural, free of parabens, pesticides, and toxins, as well as gluten, nut-free and dairy. In addition, these products are sulfate free which helps from stripping hair of the natural oils. They carry a variety of lines which help target certain needs, lifestyles, concerns, and activities. These include Sun and Swim, Lice Good-Bye, Rosemary Repel, and our personal favorite No More Knots. Whether it's taking a preventative measure against the common bugs kids can catch from playing outdoors frequently and while at school, or trying to keep it in tip top shape from their activities poolside, this is the line of products you want on your kids head. To be honest with you I don't know what else to say other than I LOVE these products and would recommend it to anyone with children, especially any that have thick/curly/frizzy/excessive amounts of hair. The best part is this is a natural product, so you know you are using only the safest on your family! I generally believe in the idea that if you take care of your body naturally, all will fall into place. Your body, face, skin, etc. will all age the way it is meant to in doing so. However, there are natural ways to help support your body and maximize as it ages. Several years ago I discovered the brand Neocell and ever since then I've thought quite differently about beauty and how we can help aid our body in the aging process. Neocell started in 1998, is now "Today, the #1 collagen brand in the world and a leader in the field of nutritional science." With collagen holding a certain stigma in the beauty industry, I once believed manipulating your bodies collagen to be both wrong and a vane way of thinking. At the time I hadn't realized how much collagen helps our body and with more than just aging. 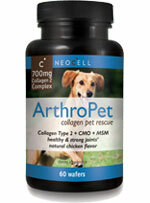 Parts of the body like our joints, ligaments, and muscles also use collagen for optimal performance. 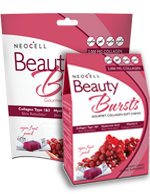 Neocell offers their "customers the most bioavailable and bioactive collagen peptides on the market". After trying several of their products geared towards a variety of ailments and solutions, I can personally say I've noticed a difference inside and out with my body. I love that all of their "bottles are 100% Post Consumer Resin (PCR) and completely recyclable". The Collagen Beauty Builder is my daughters favorite as they help her hair and nails. The Hyaluronic Acid Blueberry Liquid is my personal favorite since it helps my arthritis immensely. But by far the easiest to take on the go are the Beauty Bursts Soft Chews which both of us women carry around in our purses. I just noticed, they even have a product which can help your pets. I highly recommend checking out their wide variety and scooping up some of the products that can help you and your body! Again with all the terrible foods we rely on nowadays, our society has lost it's way in the matter of REAL nutrition. We don't need a lot of what we might think to thrive. A lot of foods now contain fillers, chemicals, and hormones which trick our brain into thinking differently than we should about the foods we are consuming. The Planet Friendly Diet helps us find a simple solution to a healthier body and state of mind. 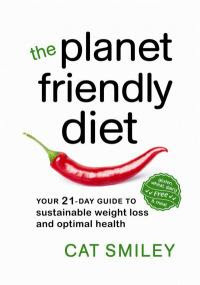 "The Planet Friendly Diet is a unique, all-inclusive program for a greener lifestyle based on responsible dietary choices. Leading body-transformation expert and former professional skier Cat Smiley shares her simple step-by-step program for a complete detox and reboot. The diet is meat, dairy, wheat and gluten-free, and comes with a weekly shopping list to ensure zero-waste. Whether you want to give your eating patterns a complete makeover or just kick start a change towards a healthier life, The Planet Friendly Diet will motivate, educate and empower you. Fully-illustrated with mouthwatering images of each internationally inspired recipe, it's like having your very own nutrition coach and personal chef. Not only will you lose weight, get fit and feel great — you'll be contributing to a wider humanitarian cause." I would like to win as I have two girls with long hair. If I won the Fairy Tales Hair Care I'd use it on my kidlet. I love your products- especially the leave in detangler! If I get lucky and win this, I'll be using it for my kidlet. These products are so good for kid's hair! I would love to win a set from Fairy Tales Hair Care for my nieces. Looks like a great product! Fairy Tales has so many great products to choose from. I love their No More Knots! It really works and it's natural!! This would be such an awesome prize for my kidlet! She has ethnic hair and needs good quality products like Fairy Tales! I want to win because it would give me a piece of mind to help keep those little critters away! I would primairly use it for my daughter but I think I might add a squirt into my conditioner for me too. Fairy Tales has so many great products to choose from!